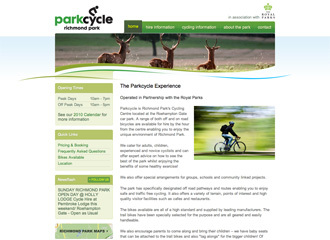 Parkcycle is the official, Royal Parks-endorsed, bicycle hire company in Richmond Pask. 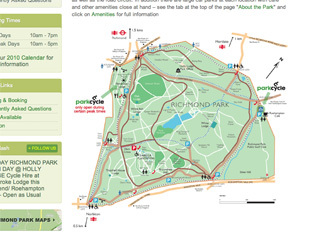 It is located at the Roehampton Gate car park. 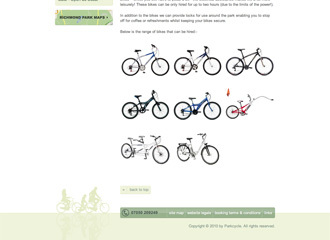 A range of both trail and road bicycles are available for hire by the hour from the centre, enabling you to enjoy the unique environment of Richmond Park. 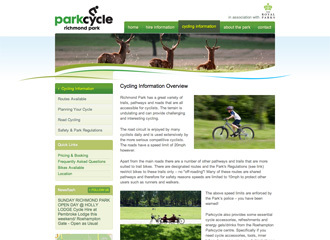 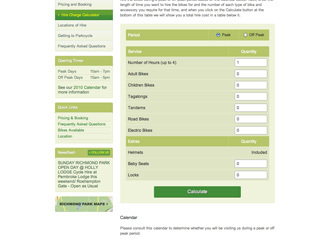 Create an information-rich website that provides visitors with information about Richmond Park, the hiring process, the bikes available, pricing, and other useful information relevant to the business and park. 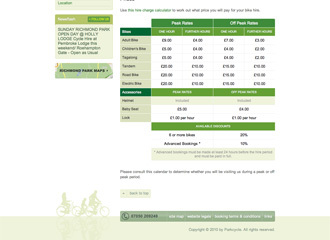 An image-righ website which showcases the natural beauty of Richmond Park, the freedom that cycling has to offer, and the information necessary to get people to engage with the business.